On April 6, 2009, a 6.3-magnitude earthquake struck the historic town of L’Aquila in Italy. Three hundred and nine people died. On October 22, 2012, six Italian seismologists and a government official were sentenced to six years in jail for manslaughter. 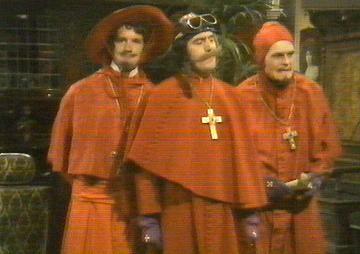 Some have suggested that this is a return to the days of the Inquisition, when science was frequently on trial. The court case itself, and now the conviction, has been roundly criticised by scientists the world over – and the popular press has jumped on it as an attack on those unable to predict the future. However, this trial was never about the power of science to accurately predict the future. Although this trial is seen as an attack on science (and you could argue that it is, to an extent), there are really two major issues that it raises. These two issues have a direct and measurable impact on the lives of everyone, every day. The public misunderstanding of what ‘science’ is. 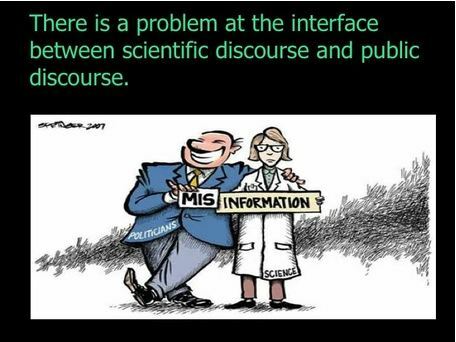 Poor or miscommunication of scientific ideas and findings. Science is the pursuit of knowledge and understanding of the natural and social world following a systematic methodology based on evidence. The problem is that people almost never talk about what science really is, so there is a misunderstanding of it and of what science can do. Seismology is a science still in its childhood. There is a huge amount we don’t know about the mechanics of plate tectonics and the inner workings of our planet. We do know, though, that accurate predictions are almost never possible. Blindly trusting science to give us all the answers right now is not sensible. We want people to embrace science, but not as an absolute answer to everything. People must question what they hear – especially if their job is to communicate that information to the general public. Essentially, science is a work in progress, and it always will be. Seismology is a complex area of science, even to those with scientific backgrounds. What chance do non-scientists have of understanding it if it is not explained properly? That is what the Italian trial is really about and that it what I hope its legacy will be: communication in science. 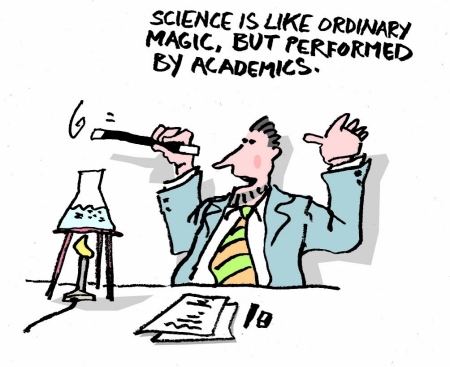 Poor communication of scientific ideas is rife – but whose fault is that? Science reporting is generally woeful in the non-specialist press. This is partly the fault of time-poor or lazy journalists; and partly down to editors with a specific agenda (and that’s a totally different can of poison). However, scientists must bear some of this responsibility too. Clear and simple communication of scientific ideas and findings to a non-specialist audience is an oft-overlooked skill. I believe that universities and other institutions are not putting enough emphasis on developing communication skills in their students and scientists. The ability to boil complex scientific ideas and results down to information that is relevant to people in their normal, everyday lives is vital. Not just for furthering the public’s knowledge and education, although that is a fine aim in itself and would go a long way to stamping out the pseudoscience that is peddled more and more frequently by charlatans. It is also crucial for public safety and people’s ability to make informed decisions for themselves about their lives, health and families. I caught a snippet of a programme on Radio 4 a couple of days ago in which one of the guests suggested throwing open the doors to science. Rather than keeping everything locked up in difficult and expensive academic journals, we should make it available for everyone. This is a fine sentiment, and one with which I am in total agreement; but I can’t help feeling that we already have that service in the form of magazines like Nature and New Scientist, which do an excellent job of explaining the complicated in a simple manner. We just need to encourage the popular press to start doing it too. Opening science up to everyone would empower people to discover not only the truth about our universe, but also to govern their own lives and choices on an everyday basis. And you can’t put a price on that. I will be watching the aftermath of the Italian trial with interest and more than a little trepidation. One thing that does worry me is the possibility that scientists will be less likely in future to offer any advice or information for fear of legal reprisals. However, if what comes out of all this is improved communication between the scientific community, officials, and the general public, it will have been worthwhile. For those not clear on the Higgs boson (what it is, what it’s for, and why), it’s explained here. Sort of. A little. This is just a quickie, but is related to many of my recent blog posts, as well as much of what is going on in the wider world right now. Take a look at this article. It’s well worth a read, and explains much more eloquently than I have just why all opinions are not equal, valid or deserving of respect. Enjoy your weekends! And remember: THINK. Always think.